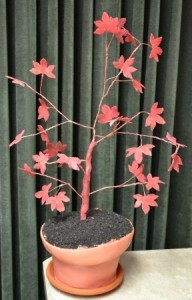 You are here: Home / Growing Japanese Maples / What is a Japanese Maple Scion or Scions? Scion is a term used in conjunction with plant propagation, more precisely, grafting as a means of plant propagation. Usually when you are propagating plants you take “a cutting” from the parent plant and, through a variety of means, get that cutting to produce roots and grow onto a mature plant that is identical to the parent plant. However, some plants are not as easily as propagated as others and the cuttings won’t, or in many cases, are very difficult to root. 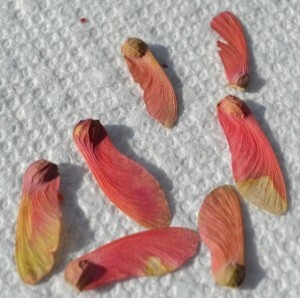 So in those cases, such as with Japanese maples, instead of trying to root cuttings, the propagator actually grafts a piece of one plant to another plant that already has roots. The part of the plant that has roots is usually a seedling, a plant grown from seed, known as root stock in the nursery industry. The “cutting” that is removed from the parent plant is called a scion. The scion is grafted to rootstock. The two plant pieces bond together and grow on a single plant. Usually a very desirable plant.